Good news for Guardian readers! Guardian News & Media has launched its first official Guardian App (built by 2ergo) for Apple’s iPhone and iPod touch. 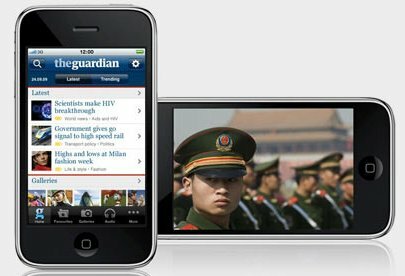 It’s the unique news application that allows iPhone/iPod touch owners to access news, comment, features, photo galleries as well as audio from guardian.co.uk with a range of features. Guardian App for iPhone and iPod touch is now available for download through the App Store at £2.39. Watch the demo video of Guardian App for iPhone below!